Notes The M13/40 was the main Italian battle tank used in World War Two. It was light for a medium tank and was built on a modernised version of the M11/39 tank. It had a 47/32 main gun and this was mounted in a revolving turret. It was under armoured and like the M11/39, it had wide sight ports which were susceptible to bullet splash. It was used during the 1940 invasion of Greece and took part in the desert battles in North Africa during 1941. It also suffered from mechanical problems, mainly because it was fitted with the same engine as the lighter M11/39. 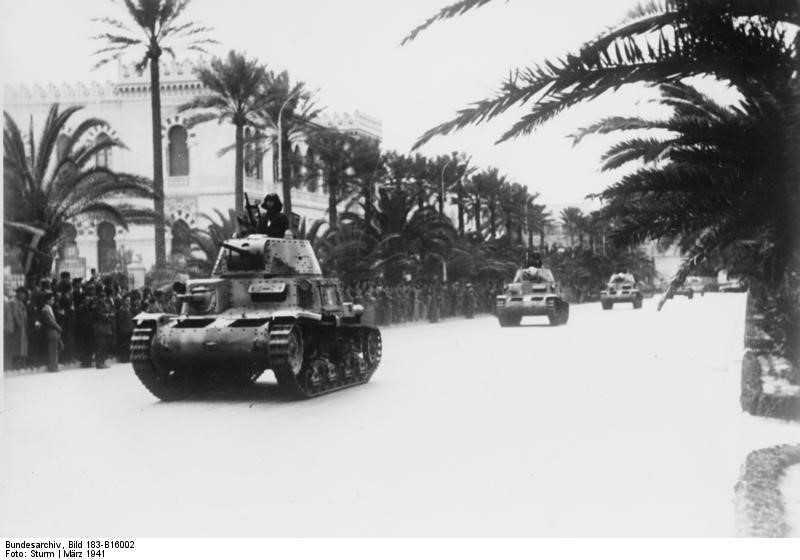 The M13/40 was widely used in North Africa mainly because it was all the Italians had, and many were knocked out or captured.